Driving up I-95 past I-295, Dunn Avenue and Airport Road, you’ll see an area of Jacksonville that’s blossoming into one of the most family friendly lifestyle destinations in our metro area. 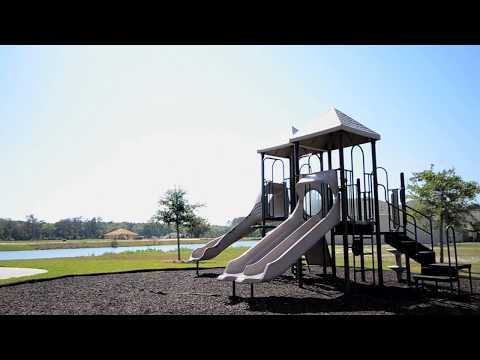 Lexington Park by Lennar is situated in the quiet, rural surroundings just north of Jacksonville International Airport (JIA), and it’s the perfect setting for a community that feels remote, but really isn’t. Living in Lennar’s Lexington park offers a simple, easy commute via I-95 and I-295 to Downtown and points South. With the River City Marketplace just a 10 minute drive, it’s not far from all the creature comforts, but still serene enough to be thought of as true “country living.” Lexington Park by Lennar has a lot to offer young families, who like to travel up to Amelia Island or Hugonaut Park for camping and fishing, or take a quick drive south to the Jacksonville Zoo and Gardens. Lennar Homes offers plenty of choices in Lexington Park, with prices from $170’s to the $230’s, and eleven floor plans from 1,698 to 3,007 square feet. They offer a version of their Cordova model that adds a bonus room, which can make into a retreat or a fourth bedroom. At 2,450 square feet, the base price $215,000 Cordova with Bonus Room is a lot of home for the money. The largest Lexington Park Model, the Serenata, is a two story home that offers three bedrooms and three and a half baths at a price that’s surprisingly affordable, still in the low $200’s. As with all of Lennar Homes new communities, the pre-construction phase is the best time to take advantage of all the great incentives and specials in Lexington Park, like design upgrades, “flex” discounts that can be applied in any number of ways, and paid closing costs when you go with a Lennar preferred lender.